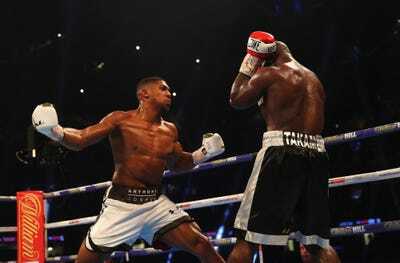 Getty ImagesAnthony Joshua is on a 20-fight winning streak in professional heavyweight boxing. Heavyweight champion Anthony Joshua could leave boxing and compete in UFC. Joshua admitted he would need a few fights to get used to the submission aspect of life in a UFC octagon, but has his eyes on two major UFC stars. 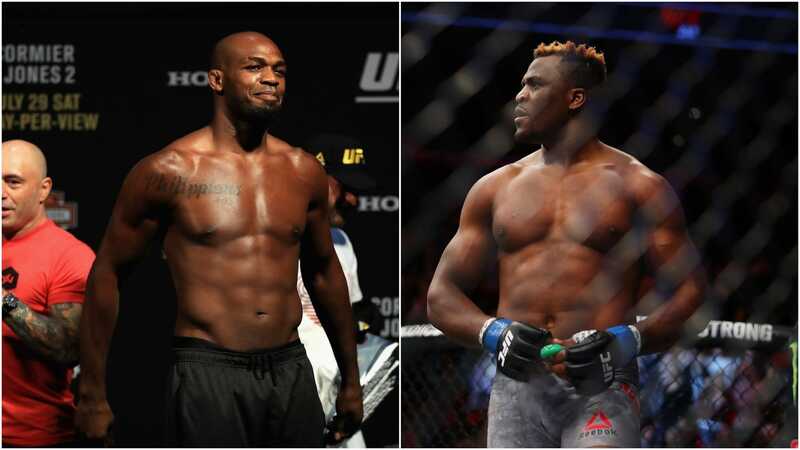 Fights against hulking heavyweight Francis Ngannou and former light heavyweight king Jon Jones would be “good scraps,” according to the Brit. World heavyweight boxing champion Anthony Joshua is keen to challenge himself in UFC. Joshua, a 2012 Olympic gold medalist, is on his way to ruling the heavyweight scene in boxing. He won his first major professional world title when he poleaxed Charles Martin in two rounds in 2016 and punctuated his world status when he got up from the canvas to knock Wladimir Klitschko down and out in a heavyweight classic last year. Now, Joshua is on a quest to unify all of the major heavyweight titles. First, he takes on WBO champion Joseph Parker in Wales on March 31. Then, he could take on American power puncher Deontay Wilder in Las Vegas. If he maintains his winning ways then there will be few challengers left in boxing, which is why Joshua may be looking at UFC. However, to compete there he would need to develop other aspects of his fighting – like grappling and takedown defence. Getty ImagesJon Jones (left) and Francis Ngannou (right). Joshua even has his eye on two UFC fighters in particular – hulking Cameroonian heavyweight Francis Ngannou and former light heavyweight champion Jon Jones. Both fights would be “good scraps,” according to Joshua.